Banked by trees and surrounded by water from not only the Planters Canal but also by the Intracoastal Waterway and the Mississippi River, The Parks of Plaquemines truly reflects a rustic lifestyle that is convenient to everything that Plaquemines Parish and the City of New Orleans offer. The serene, quiet beauty of the neighborhood is accompanied by a planned walking trail system all the way around the community. The walking trails are buffered by 75′ of trees on the exterior. 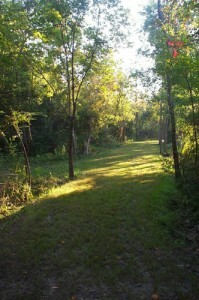 The trails themselves are regularly maintained, each week being mowed as often as you would mow your own front yard. Since the walking trails are among the trees, it is a shady and idyllic setting on which to take strolls with family and friends. 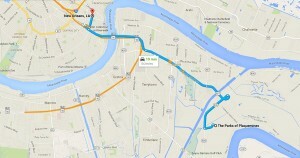 The Parks of Plaquemines offers low-maintenance 1/4-Acre lots as well as lots over 1/2-Acre. 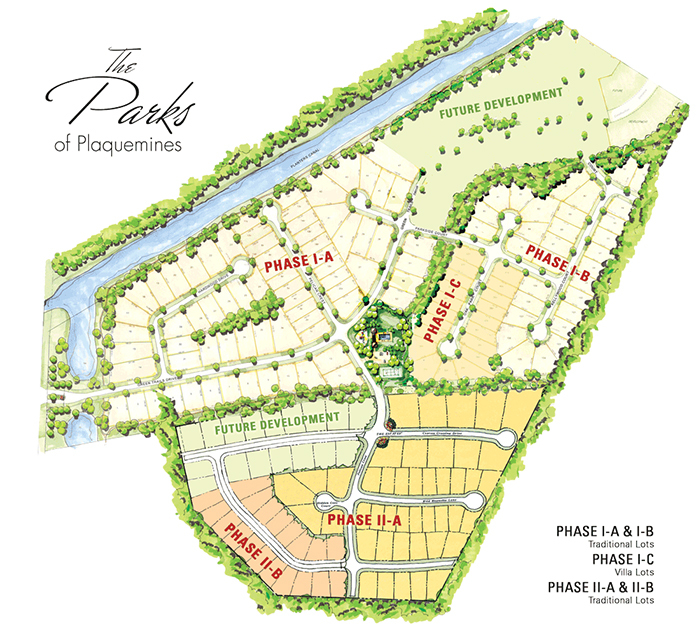 So, for whatever type of new or custom home you would like to build, The Parks of Plaquemines offers a country lifestyle convenient to everything the city has to offer. For More Information About The Parks of Plaquemines, Contact Us Today at 504-362-2350 or by E-mail at Info@TheParksLifestyle.com.